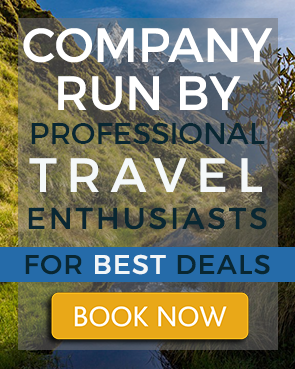 The Mardi Himal Yoga trek is ideal for beginners to seasoned adventurers. Yoga combined with meditation helps make you more aware of your surrounding. With each passing day, you will find yourself appreciating the beauty of Mardi with mindfulness. Right before breakfast, we’ll have an early morning yoga class. This class will mainly focus on the basic concept of breathing, and meditation. If you have some last minutes supplies to purchase, our guide will take your around the outdoor sports stores after lunch. Before dinner, we’ll again practice yoga and meditation. Before leaving the hotel in the morning, we’ll have an early morning yoga class. Pokhara is a 6 hours drive away from Kathmandu. As you near Pokhara, you will be greeted by the peaks of Machhapuchhre (Mount Fishtail). At Pokhara we will transfer to a jeep which will drive us to Kande, the starting point of our trek. The trail to Australian Base Camp is very pleasant and relatively easy. 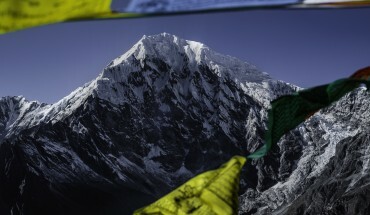 In the evening we’ll practice yoga surrounded by the ranges of Manaslu, Annapurna and Machhapuchhre (Fishtail). We’ll only have a short 30 minutes yoga session as we’ll need to head out early. As we ascend higher, you’ll notice a change in the vegetation with more rhododendron trees lining the path. Enroute, you’ll be greeted by spectacular views of Mt.Fishtail, Annapurna South and Hiunchuli. Continuing along the trail along the Mardi Himal Ridge, we head towards the High Camp. Keep a lookout for the Lophophorus (danphe) along the way. In the evening, we’ll practice yoga with a couple of additional asanas followed by meditation. Today we’ll head out to the upper viewpoint which provides spectacular view of the Himalayan range. Walking through grassy trails and a few steep uphills, we reach the upper view point. Revel in the spectacular sunrise over the Fishtail, Annapurna south and a peaks of the Himalayan range. You can practice meditation at this point for a short time. Head back to the high camp. We’ll have a longer session today with yogasana which includes a slightly challenging postures than the one we’ve been practicing followed by meditation. Retracing our steps back to forest camp, we’ll descend down the trail. Feel free to practice yoga and meditate on your own before the evening class. Wake up early to watch the sunrise at Australian Base Camp. We’ll then have a yoga class before we descend down towards the Australian Base Camp. In the evening, we’ll convene as a group to practice yoga and meditation. After lunch, we’ll head back to Pokhara again. At Pokhara feel free to spend the day at leisure. After yoga and breakfast, you have the whole day on your own to explore Pokhara. There are many activities that you can do at Pokhara. The lakeside offers boat rides, paddle boating, and even kayaking at the Phewa Lake. If you are not tired, you can hike up to the Peace Pagoda. The Pagoda surrounded by hills and the spectacular view of Mount Fishtail is an ideal place to meditate. If you’re looking for a slightly more adventurous activity, paragliding is highly recommended. We'll head back to Kathmandu after breakfast. You can spend the day at leisure in Kathmandu or opt to take a city tour with our guide or finish some last minute souvenir shopping. We’ll have one last session of yoga as a group. The evening calls for a celebratory dinner.